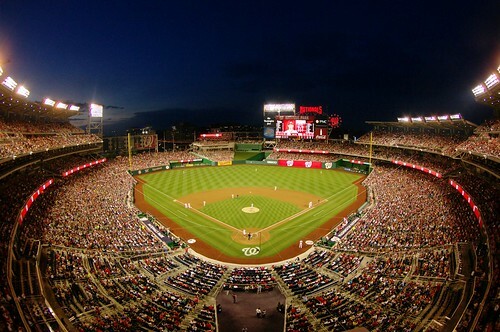 A crowd of 30,714 welcomed the Washington Nationals home for their first game since clinching the 2014 National League East crown on Tuesday night. 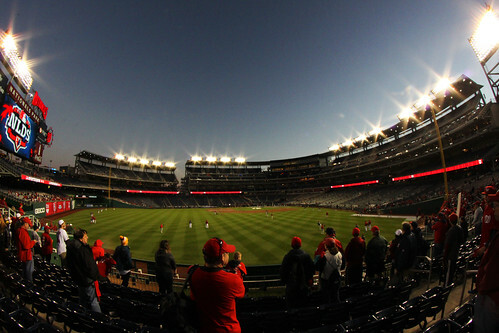 And – as a “thank you” of sorts – starting pitcher Tanner Roark led his team to a 4-2 win over the New York Mets. Roark threw 86 pitches and 58 strikes in 6 1/3 innings pitched while giving up two runs on five hits and striking out one batter in his fifteenth win of the season. The only trouble he truly encountered were the first three hits he gave up – they were all doubles. New York scored first in the fifth inning off a pair of those doubles. Second baseman Wilmer Flores led off the inning with a double and proceeded to score off a one-out double his by outfielder Kirk Nieuwenhuis. 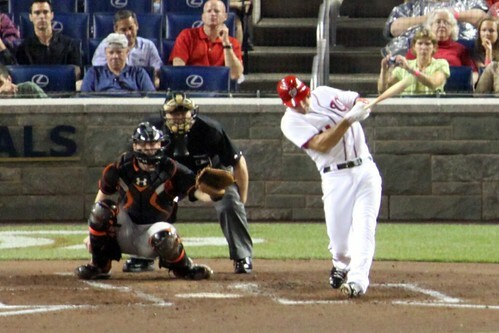 But thanks to a hot-hitting Adam LaRoche, the Nats answered back in the bottom half of the inning. Wednesday evening was a tough loss to swallow for Washington as the Nationals fell 6-2 against the Atlanta Braves during the series finale of their recent three-game set. Washington took two of three in the series and are eight games ahead of their division rival with a magic number of ten. The Washington Nationals’ offense jumped all over San Diego Padres starter, right-handed pitcher Andrew Cashner, for an early lead on Friday night before going on to win the contest 8-5. Cashner lasted just two innings plus two batters and gave up six runs and five hits while walking three and hitting one on 65 pitches, 42 strikes. 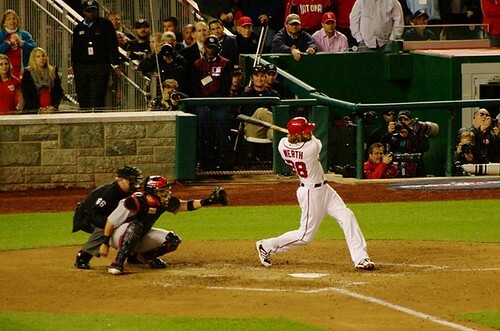 It was only day two of manager Davey Johnson’s line-up switch-a-roo with Ian Desmond batting second and Jayson Werth batting sixth but the results from the experiment continue yield a positive response. Though Werth (3-for-4) had a stronger day than Desmond (1-for-4, with a walk) at the plate, the line-up as a whole is shaping up to be the cohesive unit Johnson’s been searching for all season. 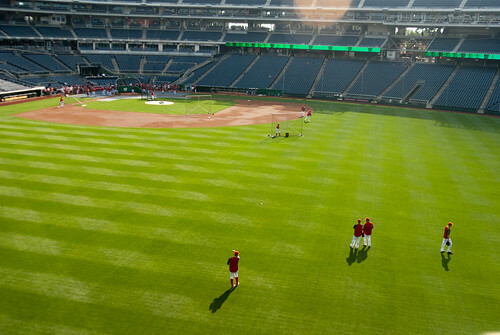 The Washington Nationals could not complete a three-game series sweep of the Arizona Diamondbacks on Thursday night and fell 3-2 in the eleventh inning putting them back at .500 as they head to New York to play the Mets this weekend. Despite seven strong innings from right-handed starter Stephen Strasburg, the Nats offense lost its momentum from the past couple days. Right-handed starting pitcher Dan Haren threw his longest outing of the season Saturday afternoon leading the Washington Nationals to a 6-3 victory over the Cincinnati Reds. The game was a much stronger outing than the last time he faced the Reds during the first week of the season. 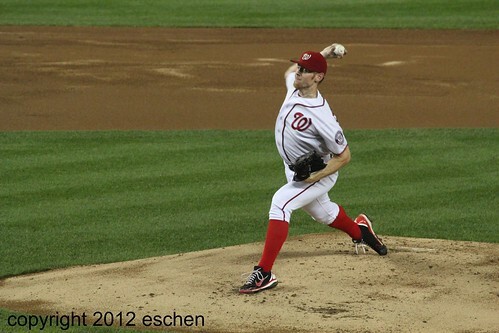 The Nats lost that match-up 15-0, but Haren’s start and Washington’s offense gave the Nats their third consecutive win. Washington made right-handed pitcher Mike Leake work hard early. 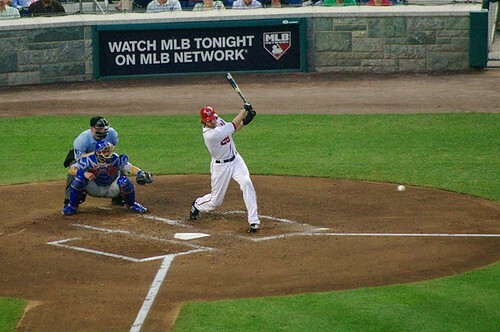 After a three up, three down first inning, seven of the Nats’ starting nine faced him in the second while scoring two runs to give Washington a 2-0 lead.